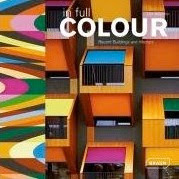 At Colour Studio approximately 45% of our projects are for new construction. 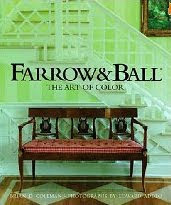 The balance of our our work is creating color schemes for spaces that have already been built. 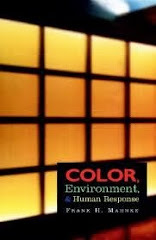 Our colors become site specific to each individual environment. 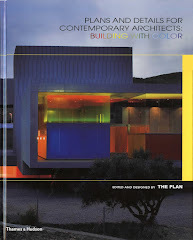 Each project is unique and the color has to be tailored to consider the architecture, tasks and functions that will happen in the space, demographic of the users, cultural color affinities and the geographic location. 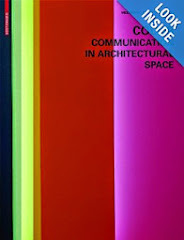 This week we found two artists who are also making architectural site-specific color interventions. While color designers generally use paints and other material finishes to bring color to a project these artists are using two interesting materials: thread and stickers. 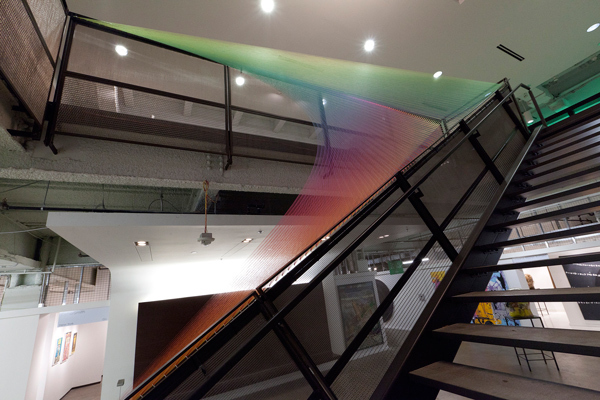 Gabriel Dawe, originally from Mexico City, made these textile installations to explore the interconnections between fashion and architecture as different kinds of human shelter. 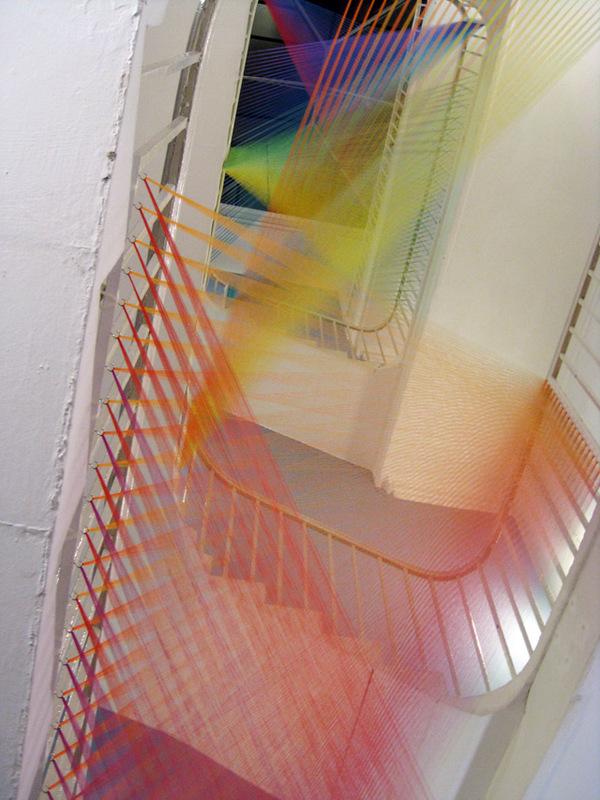 Dawe's installations are made using individual strands of colored thread. 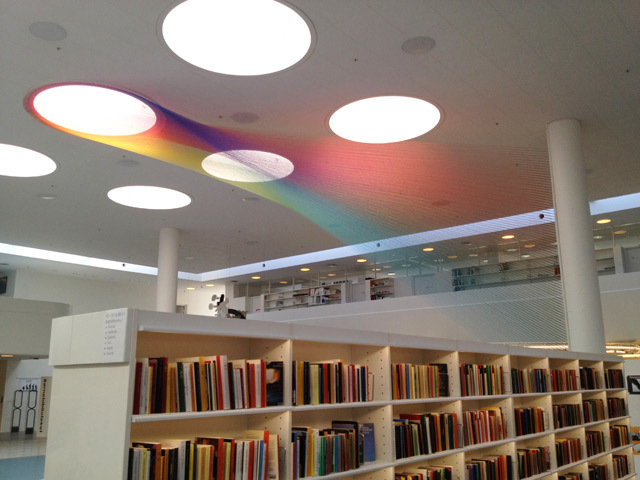 The arrangement of the threads creates three dimensional color gradients that hang in the air like a cloud. The perimeter warm white of the spaces allows the color stand out visually, as though color from the walls sprung into the air. 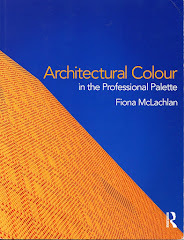 The volumetric color draws attention to the architectural spaces we usually don't see: ceilings, support poles and the empty space of stairways. The second project is by Yayoi Kusama, a Japanese artist and writer. Her project also starts with stark white spaces, but where Dawe's uses real world spaces Kusama makes these white rooms from scratch. 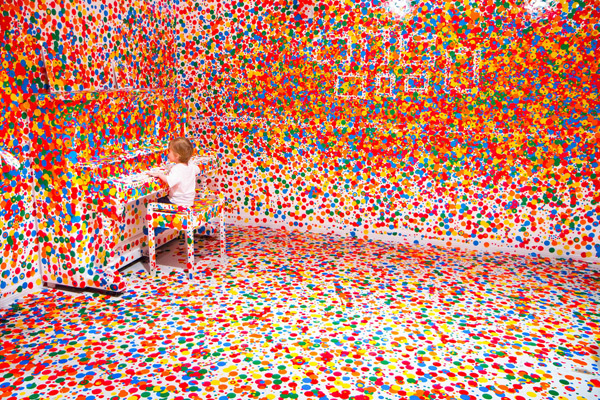 She then invited the Queensland Gallery of Modern Art visitors, children especially, to plaster the walls, floor and all the furniture with thousands of multicolored stickers. The project transforms the childhood urge to draw on the walls in to a communal color celebration. 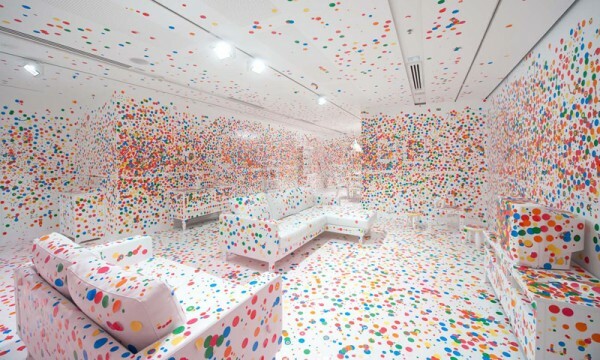 Where Dawes color clouds revealed interstitial spaces in architecture Kusama's Obliteration Room, asks another interesting question about architectural spaces: where is the divide between the space itself and objects inside that space? With the color of the stickers bleeding over every surface indiscriminate of wall, floor, piano or couch the distinct outlines and division between foreground and background are well obliterated. 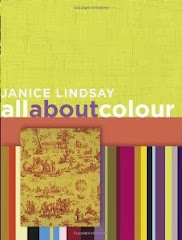 Color can be applied in a multitude of ways to change the way we think about our spaces.